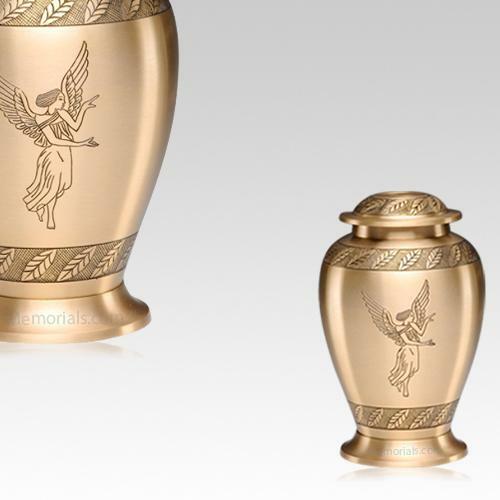 The Angel Cremation Keepsake Urn is made from cast brass with a polished finish. It features hand carved motifs and the perfect lacquer coat to preserve its brilliance. The sleek, creative design of this urn features a curious combination of classic and modern elements. That just assures that the urn will help connect your precious memories with eternity.